With all of the servers, workstations, POS terminals, etc. running in a modern IT environment it can be difficult to keep track of everything happening on those devices. Security at the endpoint is really the last line of defense against intruders attempting to compromise your organization. Gaining a clear understanding of the software, services, ports/processes is vital to any security program and will help you detect and remediate compromise quickly and efficiently. Too often organizations focus the majority of their resources on perimeter defense while leaving the internal network relatively unguarded. While securing the perimeter is incredibly important it is equally important to secure the interior, as we all know that even with the best perimeter defense intruders can often find a way in. Taking a look at some of the more recent breaches we see that while the methods have been fairly sophisticated they should not have been difficult to detect at the endpoints. Whether it’s malware or any other software, computer applications still rely on some basic fundamentals to accomplish their tasks, which can make them predictable and easy to identify. For example, Malware that receives input or instructions from a remote system requires a listening port, easily detectable on an endpoint with the right technology in place. Running programs that want to survive a reboot need to insert themselves into the startup configuration. Again, this is easily detectable on the endpoint. Tripwire Enterprise is often thought of as a File Integrity Monitoring (FIM) product. While it indeed does provide world class FIM capability it can do much more than that. The Tripwire Enterprise Agent allows the collection and monitoring of virtually any data available from the operating system. That includes some of the critical things we have covered here including processes/ports, services, startup configurations (i.e. what programs start on boot), users, etc. The list really is endless. 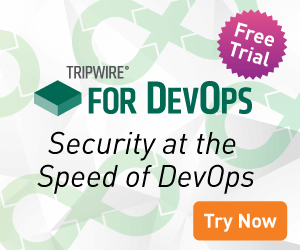 Tripwire offers out of the box solutions that capitalize on this functionality and focus on alerting on these leading indicators of endpoint compromise. These solutions allow users to easily import content from the website that enables them unparalleled visibility into what’s running on their systems. The ability to alert on these key indicators offers a significant advantage to the good guys. In a world where the bad guys always seem to be a step ahead any advantage is highly valuable and can provide your organization confidence that it won’t be the next victim of a catastrophic breach. Wouldn’t you sleep better at night if you knew everything that was running on your endpoints? The fact is the data lives on these systems and it is imperative that endpoint security is near the top of any effective security programs priority list. Cory Plummer has contributed 2 posts to The State of Security.